As I sit here contemplating what to write, I am on Facebook catching up on the goings on of various Grange members, Granges and friends. Today I saw pictures of my Great Niece who is due in April or May, wished someone a happy birthday, and read about a dear friend and fellow Ekonk Community Grange member going to be with the Lord after a very long illness. The power of the social media and the internet still amazes me, I am not that old but I still remember when a computer consumed and entire room and even an entire floor of an office building, when you had to rotary dial a phone, when you had 4 channels on your television and there was always something to watch. Time and progress has brought us a long way. I never imagined there would ever be a level of membership in the Grange called E-Membership, but there is, and it is good for our organization. Everyone who has access to the internet can now join the Grange, enjoy the various benefits offered by the National Grange and the State Grange that serves the area in which they live, and all of this for $12.00 per year. This is a perfect opportunity for all citizens with an active interest in preserving rural life to be part of the Grange, an organization that was founded on that very principal. 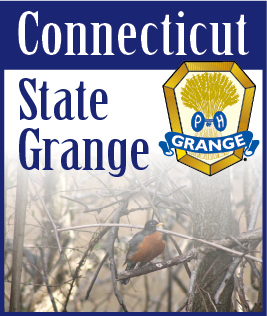 I encourage everyone to go to http://www.nationalgrange.org/ and become an E-Member of the Grange and start enjoying the benefits offered and aid in promoting the preserving of rural life.